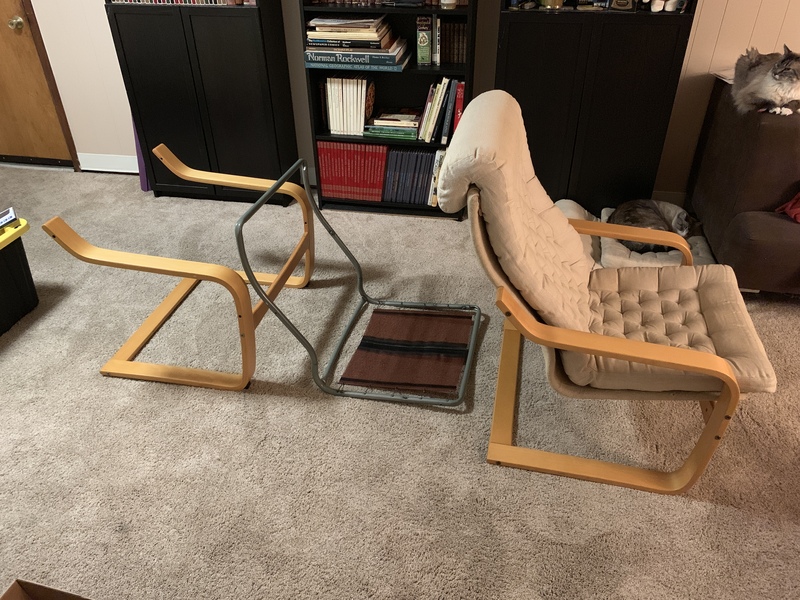 I acquired a pair of IKEA POEM chairs a few years back. They have been in my family for a while now. 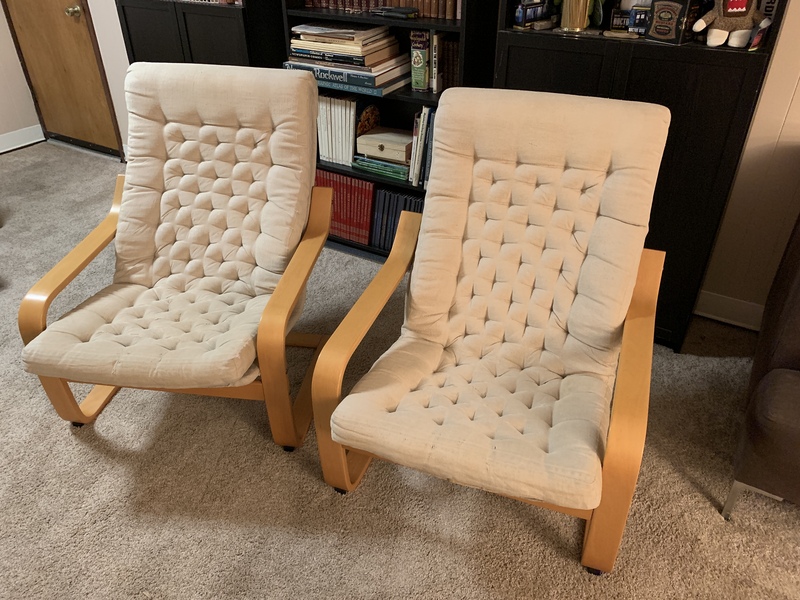 All I really know is that one of my cousins was stationed in England back in the late 70’s to early 80’s when he bought these chairs. There are no breaks or tears but are definitely showing their age after 40(ish) years. These are not the POÄNG model. 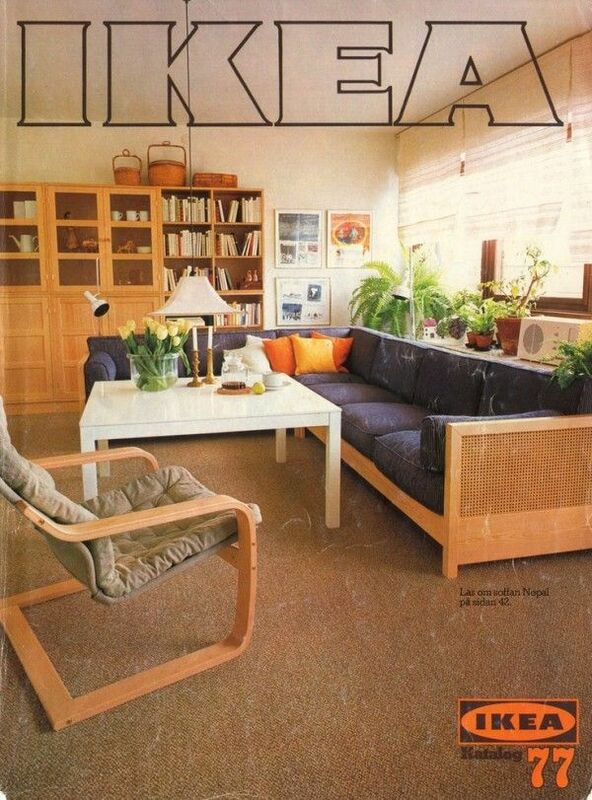 The Poäng is the newest version of this chair that was introduced in 1992. The POEM is the first iteration and used a wood main frame and a bent metal and clothe frame for the seat. The Poäng is ALL WOOD. Wood frame, metal seat frame. Cloth seats. Been in my family longer than I’ve been alive and I’m 37. I've been picking them up for about $75.00 at charity shops and yardsales in comparable condition. on some the upholstery comes off and can be cleaned. These aren’t the Poäng model. 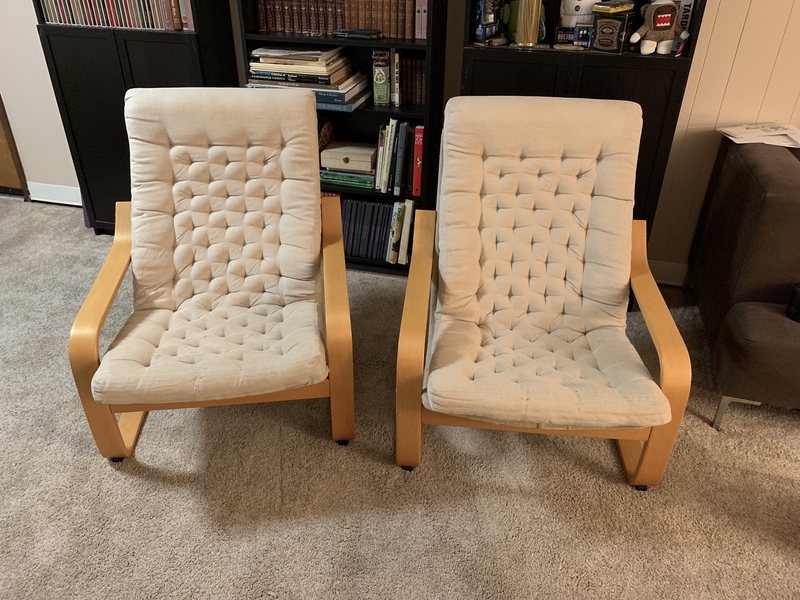 I’ve found the same pricing for Poäng chairs but have yet to see another pair of POEM models for sale at all. This model eventually became the Poäng in 1992. The upholstery on these can’t be separated from the foam cushions. It’s sewn on. 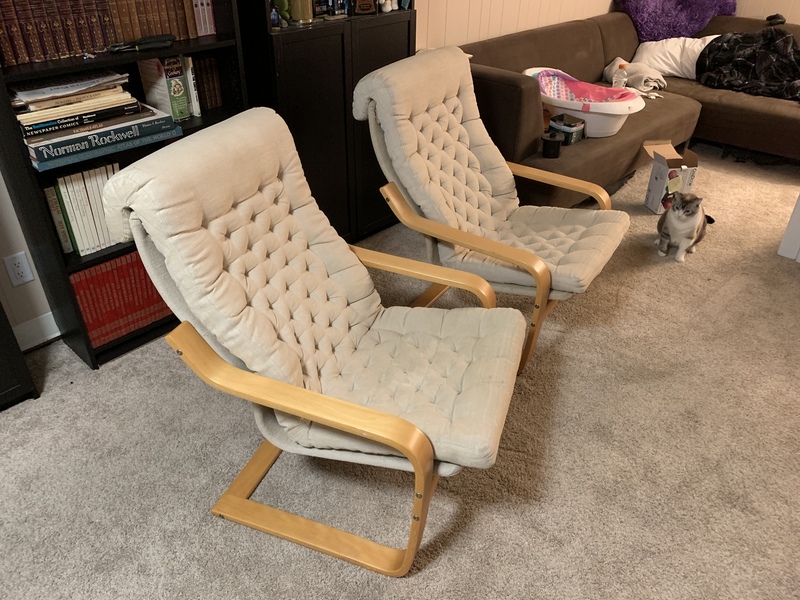 Also, if you’re paying $75 for used Poang chairs you are more than likely way over paying since they go for about $70-80 new.